The low-cost airline EasyJet has announced three new routes from Belfast International Airport, to start operating from next June. It will begin twice-a-week summer flights to Valencia and Naples. The other new service will run year-round to the Isle of Man. EasyJet will soon have a sixth aircraft based at Aldergrove and the additional routes mean it will operate on a total of 31 routes from Northern Ireland. The airline said the announcement demonstrated a commitment to airport stretching back 18 years. 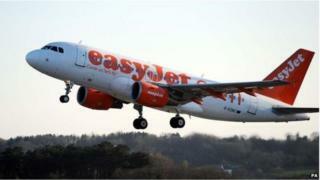 EasyJet accounts for 70% of the airport's flights and is the largest carrier operating in Northern Ireland.